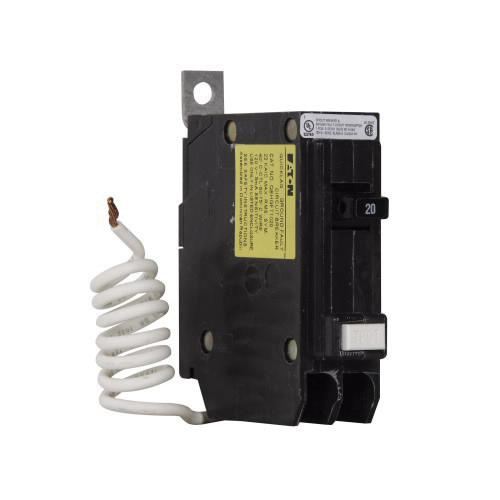 Eaton Type QBHGFT 1-Pole branch circuit breaker is rated at 20-Amps and 120-Volt AC. Interrupt current rating of this circuit breaker is 22-Kilo-Amps. This circuit breaker with a trip sensitivity of 5-Milli-Amps, features LI, non-interchangeable and thermal-magnetic trip to offer overcurrent protection for sensitive equipment. This 1-Phase bolt-on mountable circuit breaker has load side lug terminal connection.